Animals that are inbred make mistakes in response to changes in their surroundings, which threatens their survival, research has found. A study found that inbred beetles were more likely to make bad decisions amid developing circumstances – at a cost to themselves and their offspring. The findings could inform conservation programmes and aid the understanding of wild animals, especially where shrinking populations raises the likelihood of inbreeding. 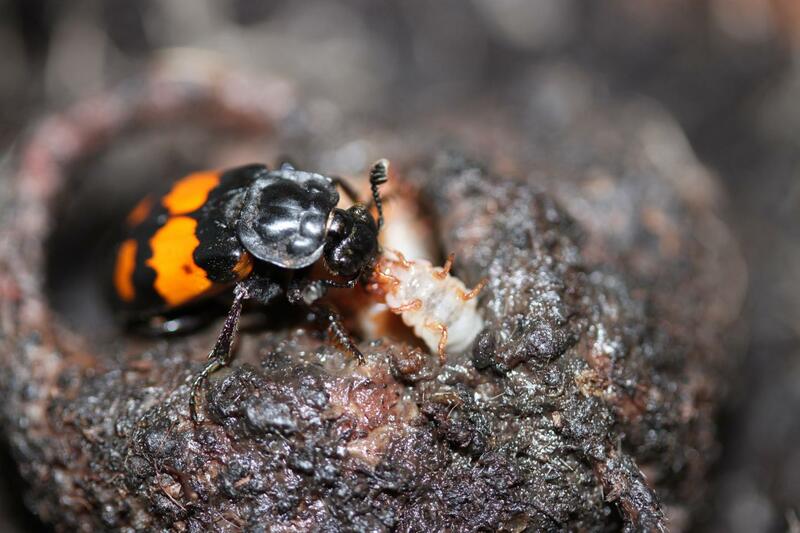 Researchers from the University of Edinburgh observed hundreds of female burying beetles as they raised their offspring. Midway through the experiment, researchers swapped the resource available to each female – a dead mouse on which they feed their young – for another of a different size. Inbred females whose mouse was swapped for a smaller one failed to adjust their parenting strategy in response, and raised too many young with not enough food. As a result, their young were smaller and the mother lost weight, meaning all were less likely to breed in future. Parents that were not inbred responded to a loss of resources by culling some of their young, which would be their natural response in the wild. The inbred animals' lack of response to changes may be down to impaired thinking ability or lack of sensitivity to their surroundings, suggest researchers. Previous studies had shown that the effects of being inbred – which can impact on growth, survival, or chances of reproduction – can be worsened by environmental conditions. The latest study shows that bad decision-making by individuals plays a part in this effect. The study, published in Proceedings of the Royal Society B, was supported by the Natural Environment Research Council. Jon Richardson, of the University of Edinburgh's School of Biological Sciences, who led the study, said: "The impact of environmental conditions can amplify the effects of being inbred, such as susceptibility to disease or competing for resources. We now know that poor decision-making plays a part in the burden facing inbred animals."